marketing and brand building for any industry. remaining true to oneself in a demanding and busy environment. and awareness of yourself or your organization are welcome. 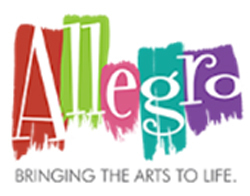 Allegro’s Executive Director, Sam Yoder. Out. To learn more about Abbie Cobb, visit http://www.abbiecobb.com. per person. Tickets may be purchased online: https://www.eventbrite.com/e/abbie-cobb-comes-to-warrenton-tickets-24934425538. Community School of the Arts Facebook page at https://www.facebook.com/events/1027846403960389/. filling her spare time mentoring, coaching & connecting with others.